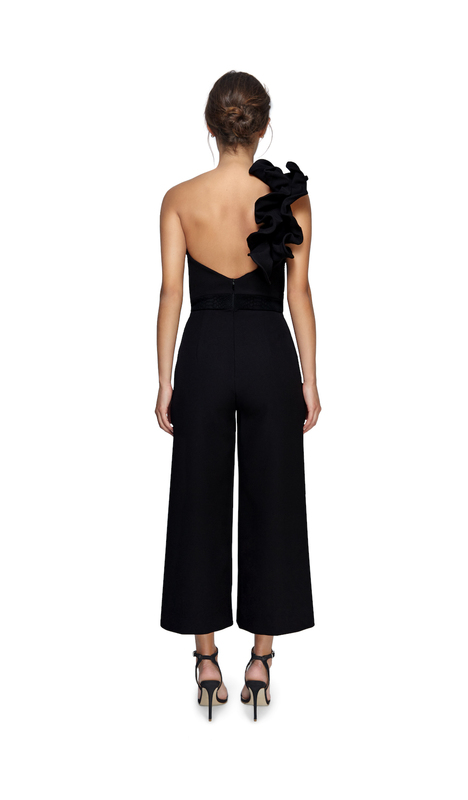 Corseted jumpsuit with a streamlined bottom and a detachable shoulder piece. 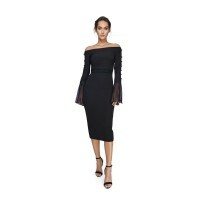 Made from a light stretch crepe fabric. 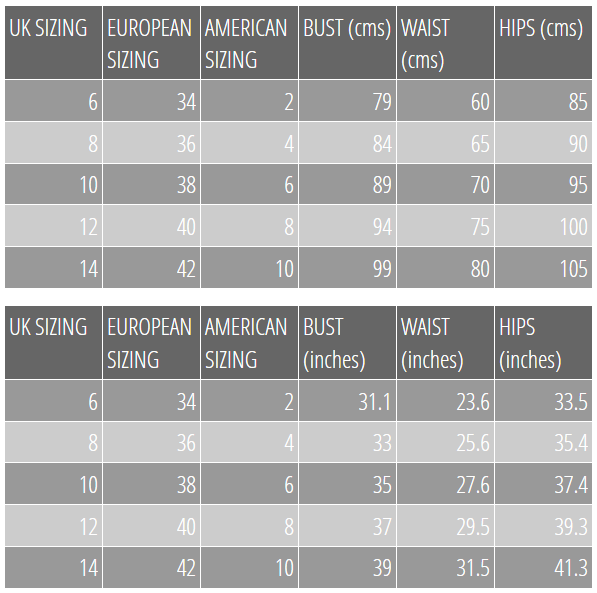 Cut from lightweight stretch crepe the Harper culottes has a flattering sweetheart neckline that beautifully frames your décolletage and a corset for support. 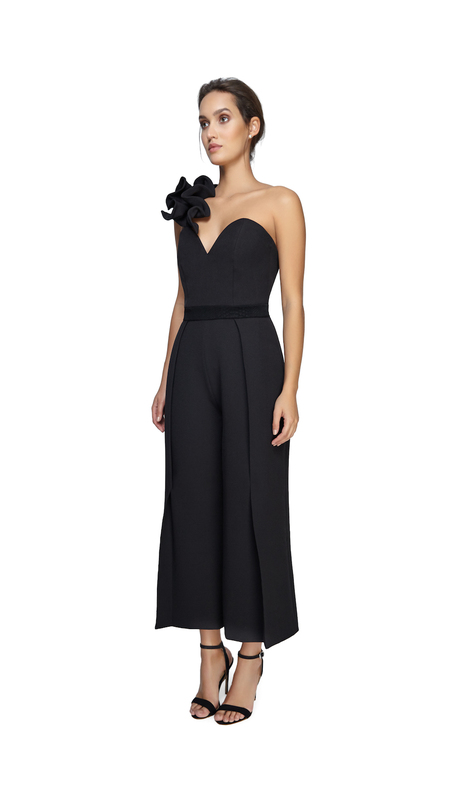 The detachable shoulder piece elevates the look from a polished day look to an alluring evening jumpsuit. Create a show stopping evening look with a statement clutch and vertiginous stilettos for endless legs. - As seen on many celebrities - These fabulous dresses / Jumpsuits have a 7 Day lead time & well worth the wait!